Goindwal (also spelled Goindval) is the site of a township and Sikh shrine Goindwal Baoli, the Well of 84 Steps which was constructed in the 16th century by Guru Amar Das. Goindwal is located on the banks of the River Beas. Originally a ferry landing which connected a popular East, West crossroads of the time, Goindwal became a Sikh center and the first Sikh pilgrimage site. 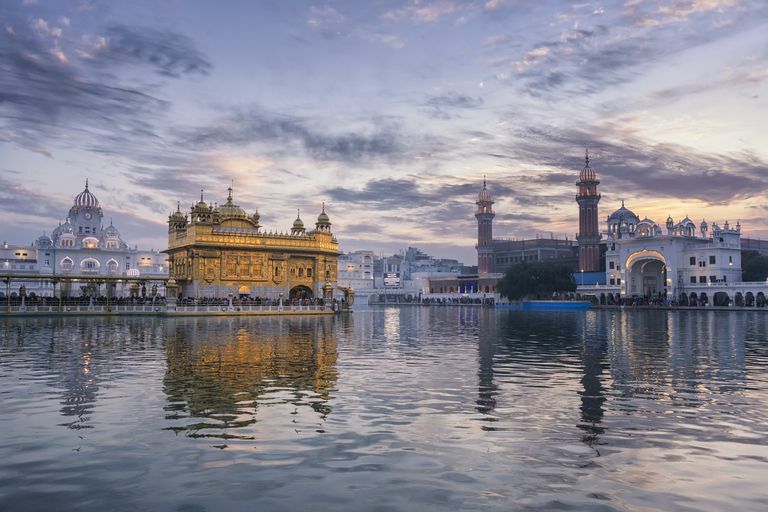 Goindwal has more than a dozen spiritual points of interest and continues to be a popular destination of devotees who visit the important Sikh shrines of the Tarn Taran District in Punjab, India. A trader by name of Goinda hoped to establish a post at the ferry landing to take advantage of the traffic of the crossroads. He encountered a great many difficulties launching his venture. Fearing demonic interference, he asked Second Guru Angad Dev’s blessing on his project. Amar Das, a devoted disciple of Guru Angad, carried water every day from the ferry landing to the nearby village of Khadur where Guru Angad and his followers resided. Guru Angad asked his faithful follower Amar Das to oversee the project. The second guru gave Amar Das a staff with instructions that it should be used for the removal of any obstacles. Amar Das successfully helped to lay the foundation of a village became which came to be known as Goindwal after the trader Goinda. Guru Amar Das arranged for a baoli, or covered well, to be constructed in Goindwal in order to serve the needs of Sikhs and other visitors. The ancient well he built has become a popular historic Sikh shrine. In modern times, the well spans about 25 feet or 8 meters. Arched access opens to a domed entrance decorated with frescoes depicting the life of Guru Amar Das. A divided underground staircase with 84 covered steps descends beneath the earth to the well's sacred waters. One side of the staircase is for the use of women and the side other for men. Each step is thought to represent 100,000 life forms of a possible 8.4 million existences. Many devotees visiting Goindwal Baoli Sahib recite the entire hymn of "Japji" on each step. The devotees first descend to bathe and perform ablution in the waters of the well. Next devotees begin to recite Japji on the lowest step. After completing the prayer, devotees return to water of the well for another dip. Devotees then move on to the next higher next step, repeating the prayer and performing in all 84 complete recitations, in hopes of being liberated from transmigration.